HitBTC: Review, Fees for Trading, Deposits & Withdrawals – TradeSanta. How to Trade Crypto on HitBTC? At the time of writing HitBTC is the fourth cryptocurrency exchange by adjusted volume (usually HitBTC is among the top 10 exchanges) and first by the number of markets (790) according to CoinMarketCap. Currently, there are 7 quote currencies on the exchange including BTC, ETH, USDT, DAI, TUSD, EURS and EOS. The process of signing up is easy, everything you need is an email address. In terms of security you can activate a two-factor authentication or enable a whitelist. Whitelist allows you to create a secure list of addresses and the withdrawal of your funds will be limited only to these addresses. 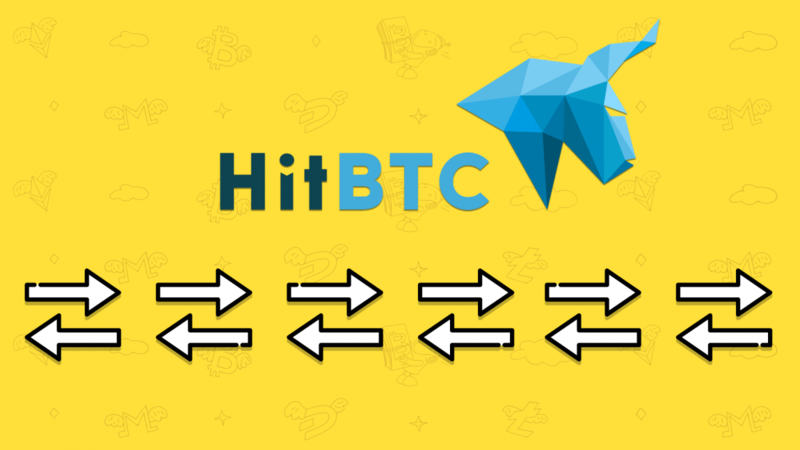 HitBTC charges various types of fees (trading, deposit and withdrawal fees). As it may be confusing, let’s have a closer look at each type. There are 2 main aspects when it comes to the trading fees on HitBTC: trading fee tiers and the “maker-taker” model. Trading fee tiers is a system rewarding users for their high trading volumes. Basically, the more you trade the lower your fees are. The full list of tiers can be found here. The “maker-taker” model is intended to increase liquidity on the exchange. The trader who places an order matching with an existing order on the book is called “taker”. The trader who places an order below the best price to buy or above the best price to sell is called “maker”. Makers provide liquidity, so HitBTC rewards them with lower trading fees or even with a rebate. If you have just started trading on HitBTC, the trading fees will be 0.1% for makers and 0.2% for takers. Deposits on HitBTC can be made in any cryptocurrency, however fiat currencies are not supported. There is a fee of 0.0006 BTC but only for deposits in Bitcoin. Unlike most of the exchanges, withdrawal fees are not based on the volume and adjust automatically with the market. Current fees can be found in your exchange account. To conclude, HitBTC is worth considering if you are deciding which cryptocurrency exchange to use. And when you make yourself comfortable with HitBTC, check our TradeSanta automated bots on HitBTC, that will make trading even easier as our bots will save you time by placing and monitoring the orders according to the chosen strategy for you.